The place of worship was built with the contribution of about 60 thousand faithful and had cost 7 million yuan. The demolition took place using dynamite and bulldozers. Unofficial and official churches suffer the same fate. 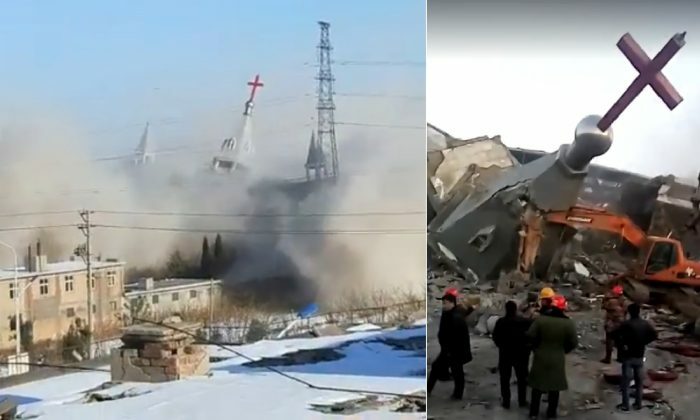 Beijing (AsiaNews / Agencies) - New details have come to light about the forced demolition of the Golden Lampstand Church in the city of Linfen on January 9. The faithful have also released a video of the building being destroyed, while they are forced to watch from a distance as the walls, the tower and the cross crumble to ruins(photo 1). Witnesses say that the faithful cried as they assisted the disaster. 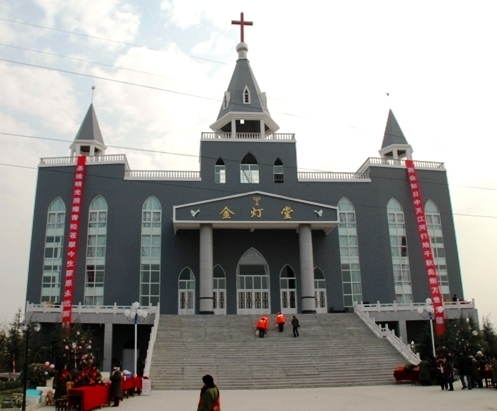 Linfen, a city of 4.5 million inhabitants in Shanxi, since 2009 housed the sacred building (photo 2), built with the contribution of the entire Protestant Christian community of about 60 thousand faithful. 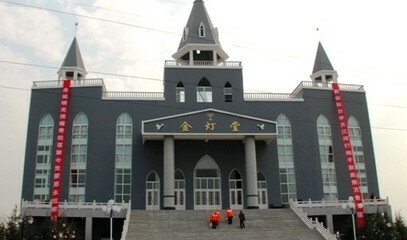 The church had cost 7 million yuan (about 911 thousand euros). The place of worship was at risk of being destroyed in 2009, when some of its members, including the pastor and his wife, were arrested and sentenced. As early as January 7, the building had been seized by the police and the faithful were ordered to "stay away". The demolition took place using dynamite and bulldozers. The Golden Lampstand Church is part of the so-called "house churches", which refuse to register and reject the control of the regime and are not part of the Three-Self Movement, the association that gathers all the official Protestant communities. Most Chinese Protestants belong to unofficial house churches. About 80 million Protestants are unofficial at present; about 20 million members of the Three-Self Movement. Even the official churches are at the mercy of the regime's politics. In the campaign for the destruction of churches and crosses in Zhejiang in 2013-2015 more than 1000 churches were destroyed, even those that had all the permits in order.